Yes, I really didn’t know what the hell I was going to write about this week. That was just about the only complete thought I had as my exhausted head finally hit the pillow last night. The night before I write and share my latest post. The dark that enveloped me was so total it was filled with immeasurable pinpoints of the most vivid orange. How can total darkness actually be so bright? I shrugged my bared shoulders under the primordial bedcovers, sinking down, down, down into pre-dream logic and re-invention. In the darkness I was no longer a body, or even an entity. I was pure impression and sensation and what might have been memories if I thought about them. Time, distance and limits no longer meant anything, or dimensions even. The part of my brain still dealing in thoughts and concepts knew all this was coming from that spongy brain thing encased in what I call my head, at the top end of my curled up torso and limbs, and we were all lying on a low rectangular bed in a larger rectangular room, in an even larger rectangular house … in a town, in a country … all tangible and finite. But without visibility, these limits had lost their definition, and I could have been literally anywhere … floating off in the limitless universe, an invisible thought bubble in a pitch-black forever. Grateful for that extra duvet layer my wife has just added, I felt simultaneously vast and microscopically small in this, my own private universe. I had been here forever but was just a fleeting blip in time. Or was my whole existence just an imagining? How easy would it be to drift off now into the great wide open like a piece of floating coral seeking out its anchoring reef? On to the next stage of my lifecycle. Was I awake or was I asleep? The extra snuggling weight on my torso instantly transported me into childhood beds where we had those things we called blankets. Layer upon layer of these heavy scratchy, lifeless things that weighed us down but made us warm and safe. Safe enough to drift off into blameless childhood sleep. Like I said, I don’t know what to write. It was so easy when the kids were younger, and things seemed pretty clear. Tiring and demanding, but clear. Now they are teenagers and things are much more complicated. I am not free to write what I want when it comes to my family life. I could so easily bang on and on about my kids and what has been going on, for them and us, but I can’t, not really. At least not directly. Complicated actually doesn’t begin to cover it. I am dealing with other complete people, with their own thoughts and feelings, their own take on things. Besides I am writing to be read and lo and behold, some people read these musings. And some of them know us. Like, to see – and there are those who know our kids, and us. That’s why I am uneasy even about sharing the positive things, and why I drift off into allusion and intimation, and deliberate obfuscation. But not enough for family members to be always easy about what I do write. Like, for example, I wrote before Christmas about our son’s efforts to find a new football team. I did not put these posts on my general Facebook page, because I did not want football people locally to know what was going down for us. But I found out that they had been reading my stuff, or at least had been directed to the stuff that was of interest to them. Now luckily enough O has joined a really good team, and we are so relieved and so delighted … they came looking for him, and really value him, which is wonderful, but I do not want to compromise him in any way … even writing about how positive it has all been so far. As for our daughter, all I can say is the whole thing continues to challenge us, right to our very core, and it would be wonderful, in one way, to be free to share stuff with people in similar situations and benefit from their wisdom. But it’s not really on. Deep down, I know she is a great kid. Bright and interesting and talented. Beautiful. But also full of doubt, frustration, and anger. A diffused anger that is hard to contain. For herself and for us. 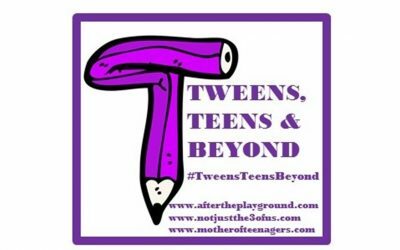 Like so many teenagers she finds it hard to get out of the way of her own talents and positive qualities, to let them breathe and grow naturally. And like them all, she will probably succeed and grow into her real beauty despite herself. And us, it seems! And we, her parents will forgive and forget the bad stuff and move on. Like all parents and their adult children do, apparently. But all of this is why I was hoping something would pop into my head that would fill this space and all would be good. But the truth is I would like to write about nothing else, not really, and so my head would not oblige with a good digressive piece. Thanks for reading. If you enjoyed it, try another one! Follow my blog and you won’t miss out again. There are many barriers in place that prevent us from writing truly raw blog posts. I’m there too. I mean, I know my mom lurks…and although my family doesn’t show interest in reading me at all, they know about the blog so the risk is there. I have to choose carefully what I say, how much I share, and sometimes it feels like….dissatisfaction. Thanks Laurie … isn’t that always ther way: rock up to write and .. nada!! Happens to me in the shower. 🙂 By the time I get to my laptop, it’s gone. To quote Ronan Keating ‘You say it best, when you say Nothing at all!’ Sometimes, blogging seems like a minefield. It’s sometimes even harder to write about life when there is a lot going on, when you think of all the things you could write but can’t, you can bypass the things that may be just as interesting that you can. So glad that O has a good football team. I’ll leave you to correct the musical attribution – his was far from being the first or best version of that song! But as others have said, you’ve created something really good out of that apparent vacuum in your brain: the mark of a good writer. That question of openness is a difficult one, isn’t it? Somehow we envisage that our words go out into the ether and are not seen by ‘real people’ in our lives, but they are: a message that was brought home to me when my ex-wife told me she had read my posts about my period of illness. Take care, as you always do – the teenage years are difficult for all involved. Sorry, couldn’t resist – you have more tact and sensitivity than I! That was a timely reminder, as not every reader allows you to retain that degree of anonymity. Tolerable, thanks, hope all’s good with you and yours. I think it’s the month for it, my last pre-WiHM interviews post (when I was actually writing and not sifting through others’ work 🙂 ) was all about dragging the words and forcing them down. Still, you managed to make it work for you, as usual! Thanks Fiona … amazing what guff comes out of one’s head sometimes when stuck for something to actually write about … or more accurately here, stuck because of not feeling free to write what I really wanted!!!! It is good to take a break or change activity when stuck, Sam. Thank you so much Noleen. It is a.bit of a balancing act trying to have something of interest to express while also cognisant of those possibly affected by what I write. Thank you so much Tracey. You’re right the smallies people have an advantage … have to find ways, I guess, Liberty!! Hi Michelle, I only usually have some idea of what I am going to say, and half the fun is just seeing what comes out. As you say, go figure! There you go Karen … there is always something to write about!! Even with nothing to say, you captured me. Elegantly written. I find that sometimes it is therapeutic to start writing with no idea where or what the end is. Back again from #ablogginggoodtime ! I often feel stifled by the fact that my family and friends read my blog because I can’t always say what I want and this can also read to a form of ‘writers block’. 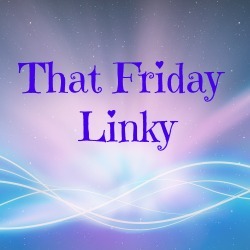 Thanks for linking up to the #itok linky. Its hard to write when you’re feeling like you can’t share everything, I know there are aspects of our life that people do not want to be put out there for everyone to read and also photos I won’t put online as they include young relatives that I know would be seen by more than those who know us. It makes it hard to work around it but needs must and all that! It just makes ir more awkward at certain times Lianne. Just have to work harder around it, as you say. See you at tales triumphant! Very kind of you to say so. Thanks for reading and commenting! Thank you for the endorsement, Jo. It really is an awkward one, to not really give much away in terms of specifics. And as you say, the raw experiences are the ones we could easily write about at great length, and we can all relate to them, but it’s precisely where we have to retreat into into discretion and allusion.